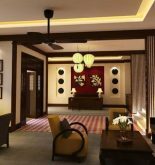 The famous Hotel Royal Hoi An Mgallery Collection is a high quality place so that both tourists and businessman (businesswoman) sightsee, go to shopping and learn culture in Hoi An. It is very easy for you to come this five star hotel from airport because it is just distant airport 35 km. With this convenient position, tourists of hotel can approach the famous tourist destinations of city easily. The top experiences from equipment and services of hotel are awaiting tourists at Hotel Royal Hoi An Mgallery Collection. What is more, hotel also provides conference centre, free wifi for all of rooms, luggage storage, safety box, 24 hour front desk to make sure tourists are as comfortable as possible. All of accommodation of tourists are equipped thoughtfully amenities so that tourists feel pleasant and unbeatable. Moreover, hotel also offers a large number of unique recreational facilities such as golf course (within 3 km), spa, sauna, children’s play area. If you would like to find a comfortable hotel full of facilities in Hoi An, let you begin your journey coming Hotel Royal Hoi An Mgallery Collection. Address: 39 Dao Duy Tu St, Hoi An, Quang Nam, Vietnam. 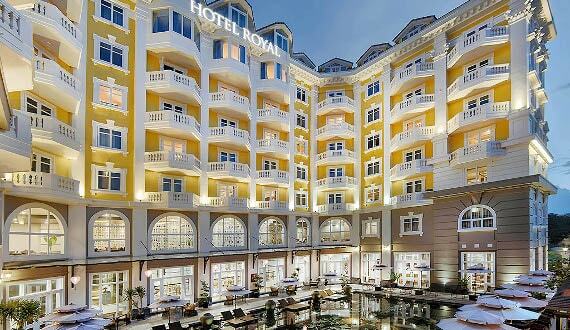 This information has been supplied by Hotel Royal Hoi An – MGallery Collection.